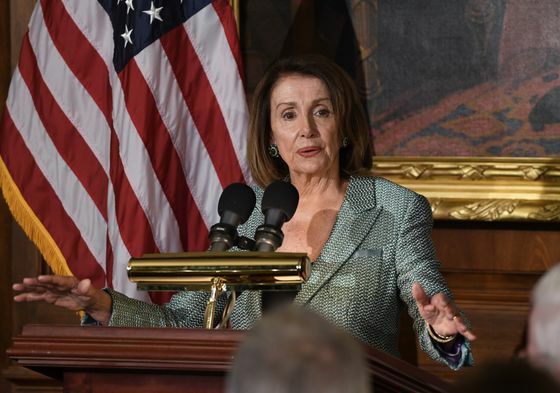 (Bloomberg) -- Speaker Nancy Pelosi is rallying Democratic lawmakers to deliver a unified message demanding Special Counsel Robert Mueller’s report be unclassified and made public in full, as congressional leaders await a summary of his findings from the Justice Department. Pelosi and six top committee leaders held what they termed an emergency conference call on Saturday with Democratic House members. The call provided no new insight on Mueller’s investigation into Russian interference in the 2016 election and whether anyone in President Donald Trump’s campaign coordinated with that effort, according to lawmakers who took part. The heads of the committees primarily involved in investigations of the Trump administration led the discussion, including Intelligence Chairman Adam Schiff and Judiciary Chairman Jerrold Nadler. The major thrust followed what Pelosi had earlier in the day outlined in a “Dear Colleague” letter -- that Congress must see the full report, plus its underlying documents and findings. Among the talking points given to members Saturday was that Democrats were ready to subpoena the full report and underlying documents, or even to obtain testimony or a briefing from Mueller, Barr or Deputy Attorney General Rod Rosenstein. Democrats are attempting to keep pressure on Trump with their own investigations into his actions as president and his business dealings before taking office. But neither they nor Republicans know yet whether the conclusion of Mueller’s investigation will accelerate or tamp down further probes. Pelosi said transparency is even more urgent given Barr’s letter on Friday that he may advise certain lawmakers this weekend on the “principal conclusions” from Mueller’s 22-month investigation. “We are insisting that any briefings to any Committees be unclassified so that Members can speak freely about every aspect of the report and not be confined to what DOJ chooses to release publicly,” Pelosi said in her letter. Pelosi said Congress must get Mueller’s entire report so that the relevant committees can proceed with oversight and with potential legislation to address any issues the investigation may raise.